Today at CES Netgear announced a new product family of advanced wireless IP cameras designed as an integrated component of the connected home. Available in both basic and advanced editions, the Ocuity Wireless IP Camera incorporates innovative technology to offer home security systems providers an enhanced security and home automation solution for their subscribers. •	The Ocuity™ 100 Wireless IP Camera (HMNC100) (www.netgear.com/hmnc100) offers high-quality 720p resolution HD video and leverages selectable dual-band 802.11n WiFi for the fastest connection and comprehensive coverage across the home. Along with flexible mounting options, it offers a discreet, compact form factor and print-to-customize skins to blend into home décor. •	The Ocuity™ 500 Wireless IP Camera (HMNC500) (www.netgear.com/hmnc500) offers the same networking and HD capabilities as the Ocuity 100, but also features the MagnaFast™ magnetic mounting system for a broad range of modular mounting options. What makes Ocuity 500 a standout among home monitoring devices is that it is the industry’s first camera designed to combine high-quality HD video with breakthrough multifunction sensing and monitoring algorithms. This innovation in technology enables advanced motion detection capabilities combined with reliable audio detection capabilities, to enhance security and even support communication with the homeowner. By installing Ocuity cameras, security systems providers make it possible for their subscribers to check on the people and things they care about most, with the minimum of fuss. Service providers experience fewer customer service calls and truck rolls due to the easy end-user installation and automatic, reliable, over-the-air updates. 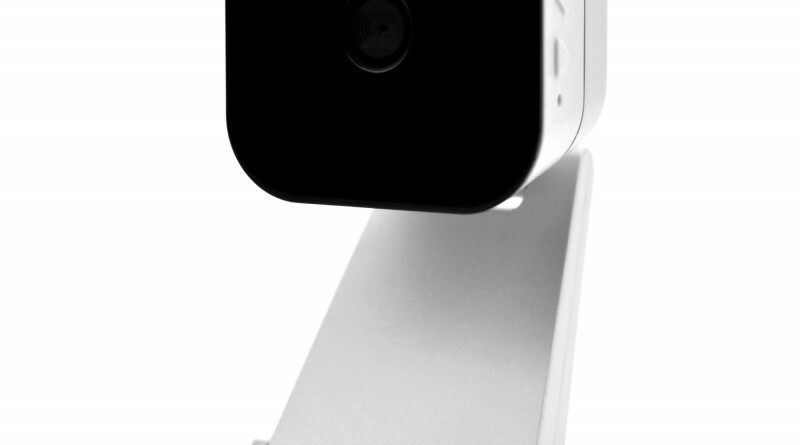 Ocuity 500 is the first camera designed to extend the functionality of home monitoring and automation systems to go beyond video event alerts. In addition to offering advanced video options, it includes an occupancy sensor, a security sensor, and a communication device. Sound and video motion detection algorithms in the Ocuity 500 sense occupancy and initiate video based on distinct audio triggers such as breaking glass and loud noises. A microphone with echo cancellation and built-in speaker enables both security and health-and-wellness checks. Parents can even talk with their kids through a virtual intercom created by an app linking Ocuity 500 to their smartphones. The Ocuity 500 is also the industry’s first IP camera of its type with modular mounting capability for intelligent accessories. The MagnaFast™ magnetic mounting system enables one camera to work with a complete range of adaptable, temporary mounting solutions, eliminating cable clutter and the need for tools. Wall, ceiling, desk, shelf, pan, tilt, and tri-pod — the Ocuity 500 can be moved and mounted in seconds where, when, and how it is needed. 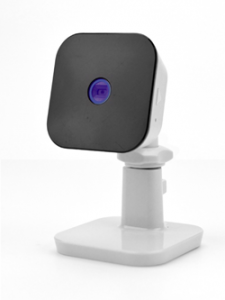 For example, the nanny-cam or pet-cam that has a logical position during a “normal” day may have a more desirable location when no one is at home, and the tri-pod option combined with Ocuity 500’s rechargeable battery means parents can keep an eye on the kids playing in the back yard. This dynamic configuration capability of Ocuity 500 also enables it to detect the base on which it is mounted and instantaneously present those positioning and control capabilities to the homeowner. The Ocuity 500 comes with a built-in rechargeable battery that supports two hours of streaming video, maintaining a complete video record even through power outages. Multiple power management modes maximize battery life in different applications. It even includes a Micro SD card slot for expandable memory to protect video should the network connection become compromised, automatically synching later with remote network attached storage or cloud storage solutions.